1. BCS – Cal = BS – Well let’s start with the obvious. We had a great chance to end our long Rose Bowl drought in 2004 with a Super Bowl MVP quarterback. But it wasn’t meant to be as Mack Brown did some 11th hour politicking and swayed enough voters to bump Texas to #4 in the BCS rankings and automatically qualify for a BCS game. What if the Southern Miss game was played earlier? What if Tedford had thrown for an extra touchdown. What if Arrington’s TD hadn’t gotten called back for a questionable block in the back call. What is Oregon State could have held on to beat LSU in week 1? What if Jonathan Makonnen hadn’t slipped on that slant route against USC? Revenge is better served chilly as in Ted Miller’s ESPN best case scenario for Cal, he had us beating Texas in the Alamo Bowl. Instead, we get a chance to get our payback closer to home in San Diego, which should just be as sweet for Cal fans. 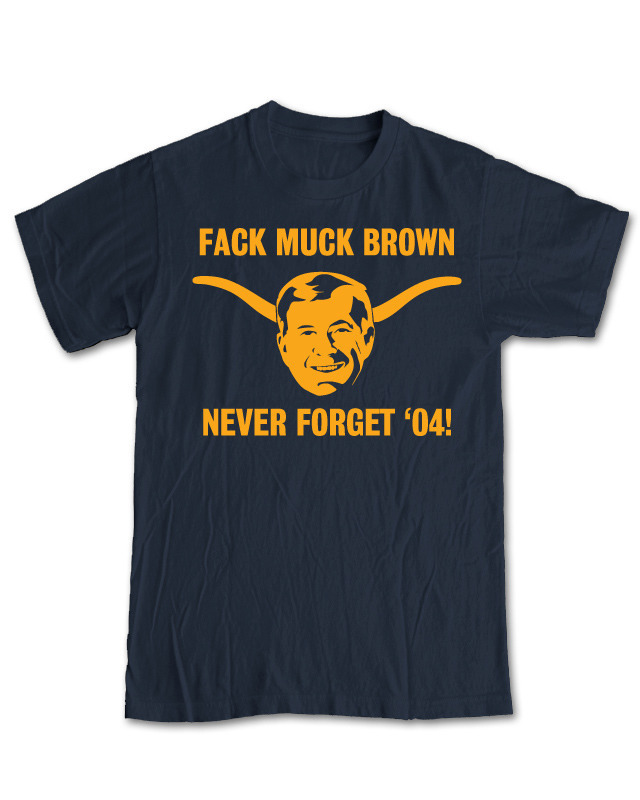 It was rumored Mack Brown’s job could be in jeopardy. Wouldn’t it be ironic if we caused Brown to be fired? 2. Big-12 is King according to Sagarin – According to Sagarin, the Big-12 is the league’s top conference top to bottom in 2011. Sagarin puts heavier emphasis on the middle, which is where Texas is located. I still can’t believe the Big-12 wasn’t able to get a second BCS team, but this would be a great opportunity to score a win against a quality opponent for the Pac-12 as they play 3 Big-12 games. If Stanford can beat the Pokes, and Washington can somehow pull another rabbit out of the hat like they did last year against Nebraska, it could go a long ways to repairing the conferences image after a slow start to 2011 and would justify two BCS teams. The conference did score late non-conference wins against Notre Dame (2), Pitt, and Lousiana LaFayette (all bowl teams), and Cal could build on that momentum. 3. The Bears want to be here – In 2004, we obviously didn’t want to be here and it showed. This year, the Bears have a chance to prove they are on our way back up with a big win against a national power ranked #24 in the BCS. We can remain in California (2 hours south of our desired destination but o wells), and the alternatives would have been a game in hostile territory against the likely Heisman winner (Alamo Bowl), a game against a team which has finished in the top 7 for 3 years in a row in Boise State in Las Vegas, or a game in El Paso against a team who runs the triple option to near perfection (recall our issues with the spread and pistol). Texas has trouble scoring the ball, so 24 points might be enough to win it and Maynard shouldn’t feel as if he needs to carry the team. He should be able to win by as announcers like to say “managing the game” and not making mistakes. If we win, we will also have bragging rights, along with UCLA, that we can beat Texas while USC can’t. So Cal fans, get on a Southwest plane, winniebago down the 5, or take a trolley, let’s pack Qualcomm on December 28th.